When you duplicate a quiz, you create another version of the quiz. Editing or deleting one will not affect the other. 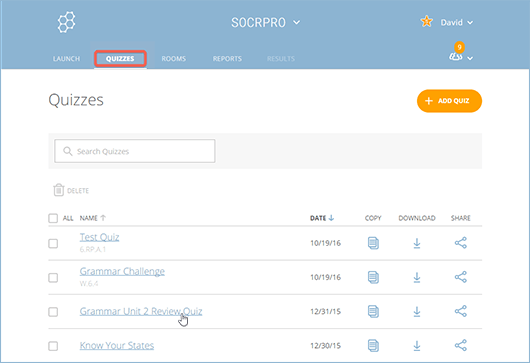 Find the quiz you want to download; a horizontal bar of related management options appears to the right of the quiz title. When the Copy Quiz confirmation messages appears, click Copy to duplicate the quiz. 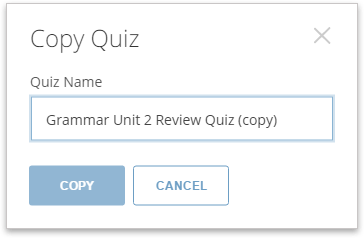 The newly duplicated quiz will now appear at the top of your Quizzes list.